Girls love Shopkins! Now they can spend hours bouncing the day away with their favorite characters in this fabulous Shopkins combo! 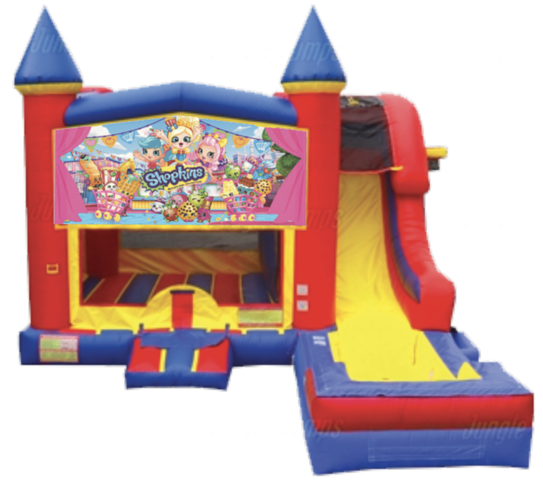 This combo offers bouncing, shooting hoops, climbing, sliding and includes an additional hoop on the outside of the unit for extra fun!